The older we get, the more difficult it is to remember some of life’s firsts. So it goes for me with turntables. A full summer of chores put enough money in my wallet to walk into Pacific Stereo and plunk a shiny new Technics SL-1200 (with Stanton 681EEE cartridge) into the hatch of my Gremlin back in 1976. Ok, I’m not as famous as Mr. S, but I kinda know how he felt. Rushing home at a hurried pace, a quick set up with the enclosed alignment tool, and Frampton Comes Alive was blasting out of my JBL L-100s. I had never even heard the term VTA and my wallet was empty, but I was really, really, happy. A little more than 40 years later, weaving through Portland’s rush hour traffic, trying to get to FedEx before they close, I feel the same sense of excitement on the way to pick up today’s SL-1200G. 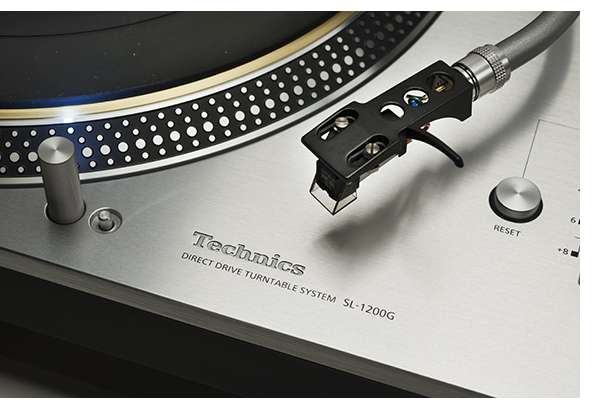 Last year, Technics released a limited quantity of the classic table, model SL-1200GAE. They sold out almost instantly, with a retail price of about $4,000. Yeah, that’s a lot more than I paid for mine, but all things considered, $400 back in 1976 is about $2,300 in todays money. So, is the new 1200, $1,700 better than the old one? We’re about to find out. Fortunately, between staff member Jerold O’Brien and I, we pretty much keep everything, or we know how to get our hands on it. Mr. O’Brien just happened to have a 1200 lying about from 1980, so that’s close enough. To make this even more interesting, I still have a 1200 mk.II that’s had some modifications courtesy of Sean Casey at Zu Audio, as well as a TimeStep power supply from Sound HiFI in the UK. (you can read that article here), so there will be none of that “well, I can’t really remember what a 1200 sounded like, but blah, blah, blah.” that you hear from the other so called experts. It’s 1200 fest at TONEAudio. We do our homework. Seinfeld is fond of mentioning what he calls “density of thought.” Comparing the 1200 mk.II to the current 1200G is much like comparing an 80s Carerra to a current 911. Most of the visual cues you know are still there, right down to that same cartridge alignment tool, but everything is finished to a much higher standard. Those that like to geek out the older 1200s usually concentrate on a couple of areas first; dampening the platter and the chassis; the former being tougher than the latter, because of balance issues. 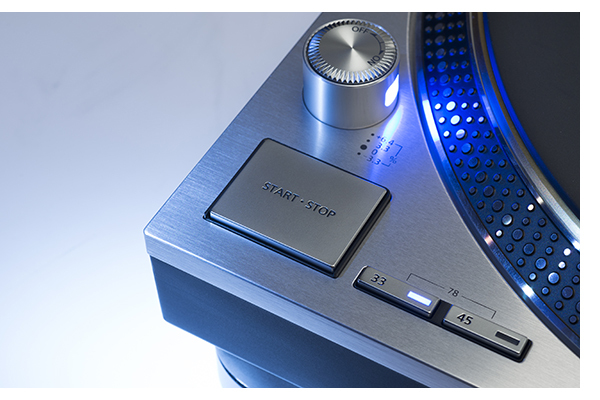 Along with a greatly improved direct drive mechanism, Technics addresses both of these issues with the 1200G. The new platter is fully balanced, filled with a layer of deadening rubber and has a brass top layer to the platter. Popping the platter from the original 1200 mk.II on the current table quickly reveals the progress made. Images fully rendered on the 1200G shrink dramatically and a level of low level image focus and quality disappears. The delta is like going from a pair of Nordost Odin cables to a pair of Radio Shack interconnects. 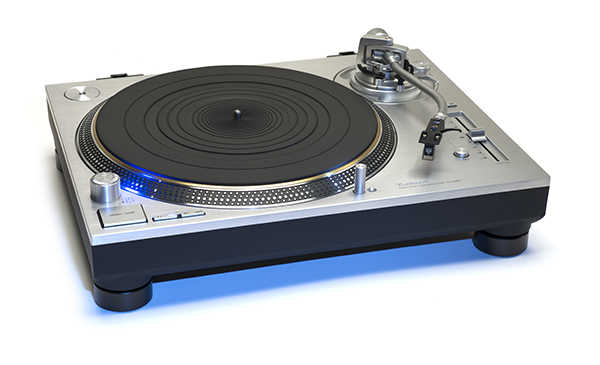 The original 1200 benefited tremendously from having the tonearm rewired with premium wire, but thanks to a pair of RCA jacks underneath the table, a-la VPI, swapping the fifty cent interconnect for a pair of Cardas Clear interconnects brought the sound of the 1200G to the head of the class. Last but not least, for the perfectionists in the crowd (and I know you’re out there) replace the standard issue head shell and associated wire. In this case, a wooden Ortofon LH-8000 fills the bill nicely. 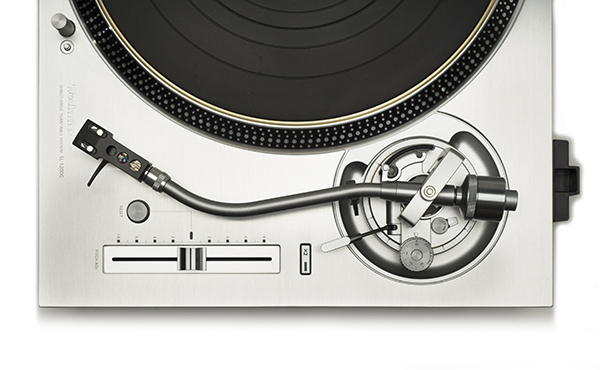 While the new G model’s tonearm looks remarkably similar to the one fitted to the original 1200, the bearings and counterweight are machined to a much tighter tolerance, and where the original arm was made from aluminum, the magnesium arm from the limited edition SL-1200 GAE is retained here. Even the dampening feet are greatly improved over the original model. Just like any other high performance machine, the SL-1200G benefits from numerous small improvements that you can’t see. Better bearings along with refined motor and drive control circuitry all add up to more music revealed. Considering all the fun I had taking the photos of this table, I kept wondering how it would sound on initial power up. In a word, dark. However, this is not the table’s fault. After the folks at Technics delivered a huge bag of cash to my doorstep via Fed Ex it sounded much better. Just kidding. However, in all seriousness, setting up the SL-1200G with the tools in the box and a modest cartridge will not get you to audio heaven, but this would be like assembling a 911 engine with a pliers, and an adjustable wrench. That project would go equally poorly. Though the new 1200G looks a lot like it’s distant relative, all the verbiage in the manual is true; this table is a much more precise instrument. Get your hands on some decent setup tools – now. A precise protractor like the Feickert or the Acoustical Systems SMARTractor, a good test record and a digital stylus force gauge. If you are a master of the Feickert setup software, that won’t hurt either. 30-60 minutes spent fine tuning the new 1200 will pay a world of dividends. Lastly, throw out the stock power cord and fit something a little better while you’re at it just for good measure. 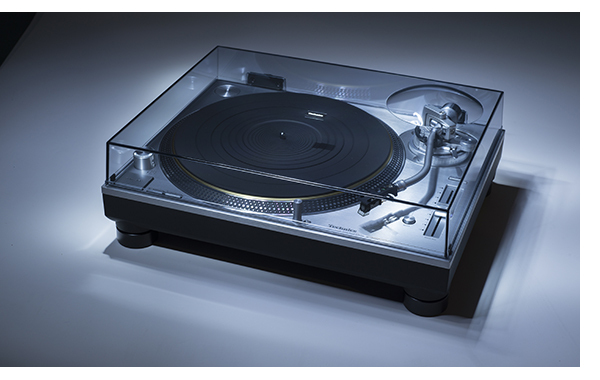 I can’t fault Technics for any of this; they did their homework and built a solid deck. 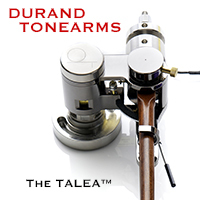 In their defense, the last $5,500 tonearm I purchased from SME resulted in throwing the packaged tonearm cable in the circular file, to be replaced with a $1,200 cable from Furutech. The good news is that you can at least get the 1200G up and running with the tools and cables included; but properly set up, it’s a sweetheart of a table. The SL-1200G is so easy to use, it’s made vinyl playback a blast. 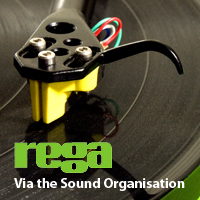 Thanks to the three inputs on the Pass Labs XS Phono, and a set of three Rega Elys 2 cartridges, comparing the three variations on the SL-1200 theme is not only a breeze, but enlightening. Queuing up three copies of MoFi’s self-titled Santana (only a few pressing numbers apart, to keep it all as close to identical as possible) quickly shows the progress the Technics engineers have made. Immediately the new table’s massive stereo image makes itself known. The mk.2 creates a somewhat small sonic landscape that is limited to the space between the speakers; it feels more like VHS. Where the gentle piano at the beginning of “Treat” feels small and uninvolving on the mk.2, moving up to the 1200G brings it alive, the piano now sounding much bigger and livelier. As the guitar is folded in, a similar effect is displayed and even the non-audiophiles in my impromptu listening sessions stood up and took notice. All three tables exhibit great speed accuracy, but again the new model (and the TimeStep modded version) offer a much lower noise floor, resulting in a greater dynamic range. When tracking through a new, 45 r.p.m. copy of Kruder and Dorfmeister’s The K&D Sessions, the new table shines, with incredible bass weight that the other two can’t match. Finally where I would never have mounted a premium cartridge to the original 1200, because of its general lack of resolution, this is now a welcome addition to the current model. Upgrading the standard issue Technics head shell with something from Ortofon or another specialty manufacturer, and some better head shell wires (in this case, a set of silver ones from Furutech) takes it all to the next level. Switching from the $300 Rega MM cartridge to the $6,000 Transfiguration Proteus cartridge brought about quite the “ah-ha” moment, and convinces me that this is a world class table in the $4,000 price category. The Technics SL-1200G has the ability to resolve the difference between cartridges with ease, and thanks to the easily removable head shells, this was not a terribly difficult task. 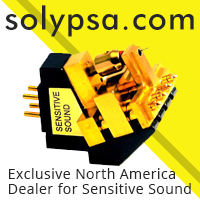 Even if you don’t invest in a $6,000 cartridge for your new 1200G, know it is up to the task. Should you be of the “get a great table first, add the mega cartridge later” mindset, one budget cartridge that delivers astounding sonics with the 1200G is the $379 Denon DL-103r. It won’t offer the last bit of fine detail that the four figure cartridges will, but it’s level of sheer musicality and bass weight should keep your ears perked up. I do have more than one turntable, and I can’t resist a good 45 r.p.m. maxi single. The well recorded ones offer up a level of dynamics that is usually a cut above a standard album. Radiohead’s “High and Dry” proved a perfect place to start. A mere push of the button is all it takes to get to 45 right now, and it goes without saying, the speed accuracy of the new 1200G is perfect – the red strobe now replaced by a rich blue. As you might suspect, the rock-solid speed accuracy provided by direct drive makes not only for explosive transients, but sturdy bass response. Zipping through a handful of Prince 45s delivers a special quality, weight and texture to the lower register that I haven’t experienced with tables at this price before. Yet the 1200Gs sole attribute is not solid bass response as the early mk.2 was. 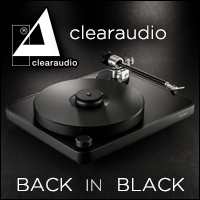 Where the original still provides a rock solid musical foundation, it’s not an audiophile turntable in stock form. The current G model adds the nuance that you’d expect from a great belt drive table. While the 1200G doesn’t have the level of finesse that my reference Brinkmann Bardo possesses, it grooves in that direction. Switching the program material to solo piano underlines the 1200Gs solidity. It’s like taking the speed stability of a great digital recording and adding the tonal saturation of analog. It’s a compelling combination. Lastly, I just couldn’t resist the urge to do a little bit of scratching, so the Ortofon CC Scratch came off the shelf and after resetting tracking and anti-skate (Ortofon suggests a 2-gram anti skate setting and 4-gram tracking force “because of the abnormal behavior of the tonearm when backcuing.” Try that on a $100,000 turntable. As with a great sports car, much is to be said for balance. Those rare cars with an equal amount of stop, go, handling and feel are often much more fun on a curvy road than a high horsepower car that is a monster beyond your capabilities. The Technics SL-1200G is like the new generation Miata. 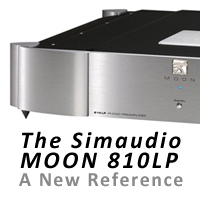 It offers up such a balanced amount of analog performance, that you’ll never notice you aren’t listening to a $30,000 turntable.